A lack of research on the rodents is a huge oversight says UBC PhD candidate Kaylee Byers. A PhD candidate at the University of British Columbia says the current rat situation in Vancouver is the thing to be scared of this Halloween. Kaylee Byers is a member of the Vancouver Rat Project, a research initiative started in 2010, which she says is the first of its kind in Canada. Byers said Vancouver's rat population appears to be growing. 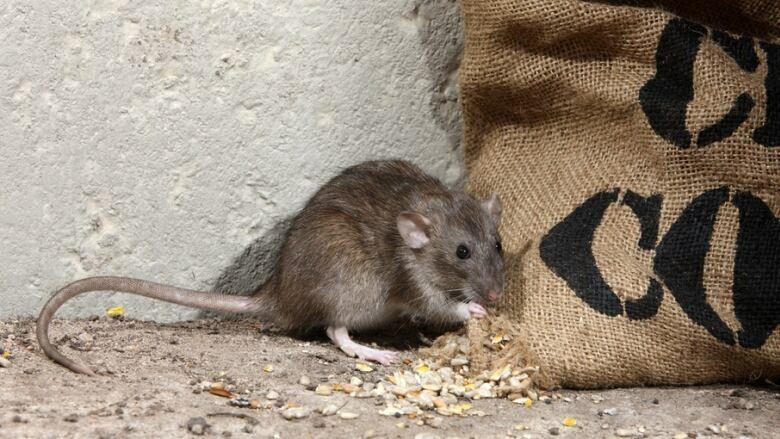 Pest control professionals in the city are reporting more rodent calls than ever before. She admitted, however, that it's very hard to obtain data on the animals. "As someone who chases rats around a lot, I can tell you they're quite difficult to study," said Byers. The lack of research on the rodents is an alarming oversight in Byer's mind, as there are large gaps in our understanding of the creatures. She says the Rat Project is intended to gain a meaningful understanding of the risks rats pose in Vancouver, both in quantity and disease-carrying capability. "Rats can act like a mixing bowl, carrying lots of different pathogens," said Byers. She said Vancouver rats carry a bacteria called Leptospira, which can cause a wide range of ailments in humans including fever. The bacteria is transmitted through rat urine, and Leptospirosis can occur if an open wound comes in contact with it. Beyond Leptospira, Byers said rats are excellent carriers for many diseases they encounter, which is why she feels her work determining the population's number and hot spots is so important. "We're trying to get a handle on where the rats are and how that's changing over time," said Byers. Byers said we're currently aware of two types of rats in the city: the Norway rat and the Black rat. She said there are some indications of interspecies hybridization between the two, but more research is required. Byers also said rats are often seen as asymptomatic, meaning they don't present symptoms from many of the diseases they carry. This apparent immunity is another aspect of the creatues Byers said needs further research. The Vancouver Rat Project focuses its research in the Downtown Eastside.This neighbourhood is being used to look at the potential health impacts of large rat populations. Byers said many people in the area spend more time outside on the street, and they could also be immuno-compromised due to poor nutrition or intravenous drug use. She said that means people in the area may be more prone to illness from contact with rats. Byers said calling the City of Vancouver when seeing a rat can help track the rodent population in the city. She said if you want to minimize your contact with rats, it's important to properly dispose of your garbage. She said the next few years of research will yield more information, and not just in Vancouver. Byers said more research programs are gettingunder way in large U.S. cities, including New York and New Orleans.